Print Coombs Junction Furniture - Parksville & District Chamber of Commerce, Parksville, B.C. • Join the Chamber Today! Furniture and mattress retail store. Primarily BC-made furniture. We carry more B.C. 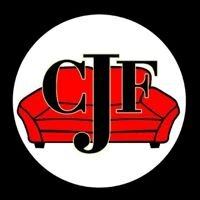 made furniture than any other store in British Columbia. Full line of sofas in leather, microfibre and custom fabrics, as well as dinettes, bedroom furniture, mattresses, area rugs and accessories. Locally owned and operated.